Clio, the popular Korean drugstore makeup brand, has launched a line of three mascaras, called Salon de Cara (I suppose Cara is a contraction of "mascara"). The entire collection is touted as being inspired by hair tools that style the hair - these mascaras aim to style the lashes, too. 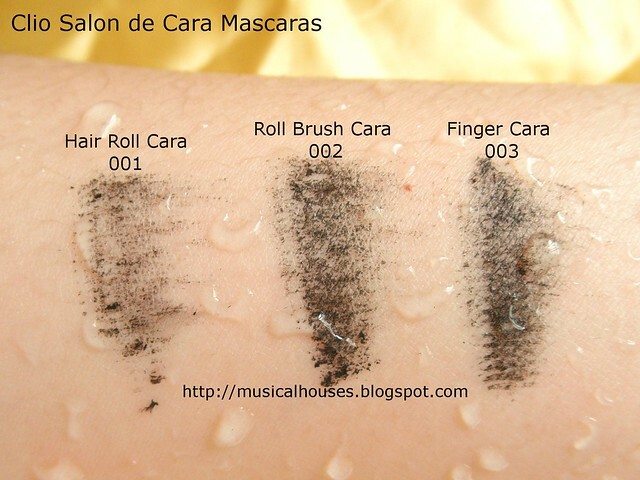 There are three different mascaras, each with different brush heads, and they are supposed to perform different functions - there's Hair Roll Cara 001, which is inspired by hair rollers, Roll Brush Cara 002, which is inspired by hair brushes, and Finger Cara 003 which is inspired by the fingers of hairstylists. 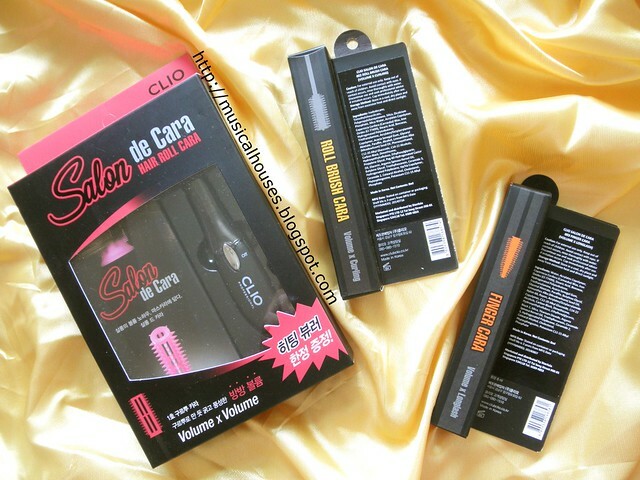 Clio Salon de Cara Review: Mascara in three different styles! 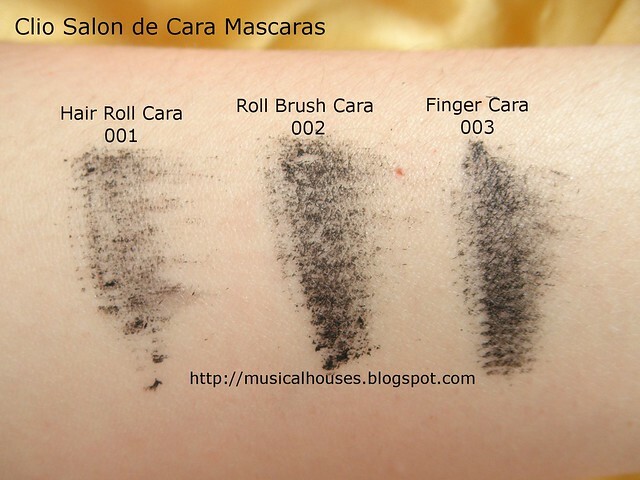 Interestingly, each of the mascaras have different functions, too. Hair Roll Cara 001 (pink) is supposed to mimic hair rollers for extra volume, Roll Brush Cara 002 (yellow) is supposed to mimic a round hairbrush for a curling effect, and Finger Cara 003 (orange) is supposed to mimic stylist's hands with "bristles that part three ways at the tip" to lengthen the lashes. Sounds intriguing, right? I agree that the concept (mascara that styles your lashes the way hair salons style your hair), right down to the collection name of Salon de Cara, is definitely one that's new to me! So anyway, I figured I just had to put all three of the Salon de Cara mascaras to the test, to see if they really lived up to the hype! 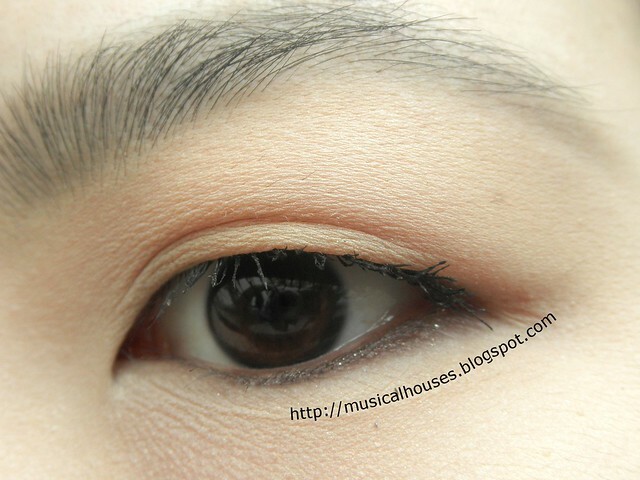 But before I start, here are some shots of my bare mascara-less eyes. As you can tell, having long, lush and naturally curled lashes aren't my strong point at all! It's been a long time since I've reviewed a mascara (my mascara reviews are all here), and I think it's because my lashes are so puny and wimpy that even the best mascara doesn't work the magic that you see in the ads - I think I've been complaining about mascaras since my first ever mascara review on the blog from way back in 2010 (the then-super-popular Rimmel Lash Accelerator mascara). In any case, I suppose my lashes are so wimpy, they really do make the perfect test candidate for mascaras of all sorts - curling, lengthening, volumizing. Just bring it all on, goodness knows I need every kind of benefit! Above you can see my short, stubby lashes that are naturally pointing down. 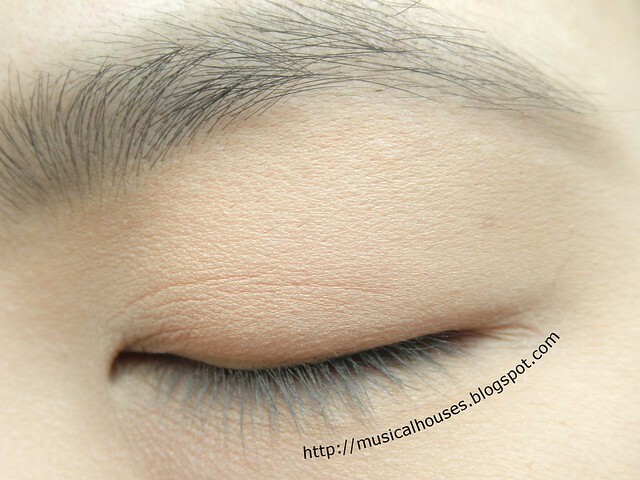 They do that because of what I like to call (for want of a better term) my "hooded lashline". You know how some girls have a hooded crease line, where the fold of skin above the crease sags and blocks part of the actual contour area? Well I've got something like that, but at my lashline. My lash roots are all buried underneath that fold of skin, and you can't see my lash roots at all when my eyes are open, because they're hiding beneath the skin. 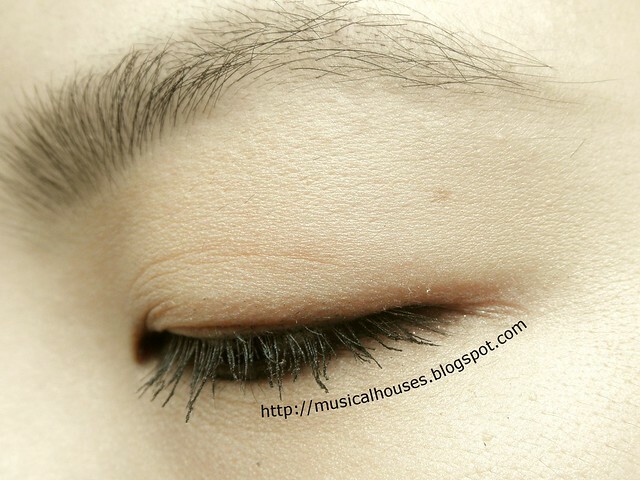 Above, with my eyes closed, you can see my lash roots now, but you can also see the same short, wimpy lashes happily pointing downwards. 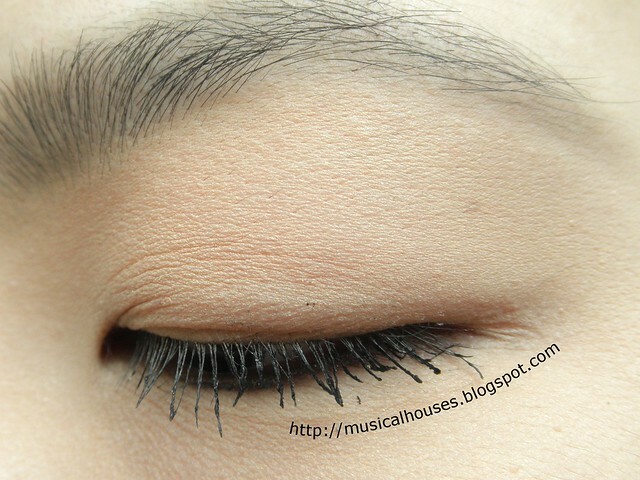 Nope, my lashes don't have a natural curl at all - they're stick straight in that regard. And below, a photo of my eyes from the side, just you can see the glorious lack of a curl. Now that you've seen the "before" photos and have probably laughed at how pathetic my lashes are, let's go on to take a look at each of the mascaras! The first one I strted with was Hair Roll Cara 001, which comes with a little eyelash curler in the package as well, to curl your hair. To be brutally honest, I didn't use this a lot because it looked a little flimsy to me, and also, it didn't seem to make a difference whether I used this to curl my lashes or a normal lash curler. Mascaras a a pretty personal thing and what works for one person may turn out really lackluster on another, so someone else might find this works better for them. 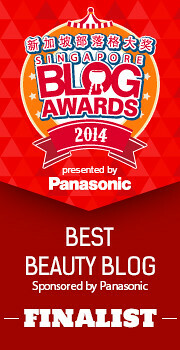 But anyway, on to the actual mascara wand! The mascara wand is a small, rubbery wand that does look like a hair roller. It even has a hollowed out center (which you cannot see because of all the mascara covering it) just like a hair roller. It's the smallest of all the Salon de Cara mascaras. I personally found this the hardest to use out of the three - the small brush makes it easy to manoeuvre, for sure, but the hollow in the middle of the brush wand meant that there was always a pool of mascara collecting in the middle of the wand, which would randomly glop onto my lashes halfway during application. But like I mentioned, mascaras are the most personal to review out of all the makeup I've tried, so well, someone else is probably reading this review and going, "What's wrong with you, I love this mascara!" Anyway, above you can see my opened eyes. It does hold a curl, as my lashes aren't pointing down anymore (except the lashes near the inner corner of my eye which never seem to fit into the curler no matter how I angle it), and there is some length and volume. 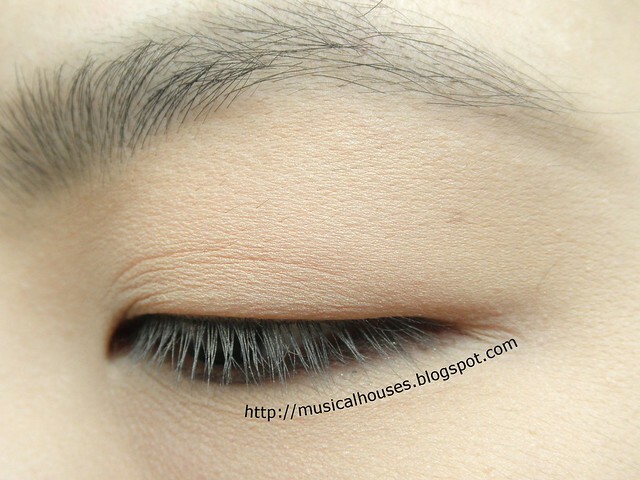 You can also see the slight gloppiness of the mascara when I close my eyes, and from the side view. It's a bit clumpier than I would like because of the mascara just wooshing to my lashes randomly. 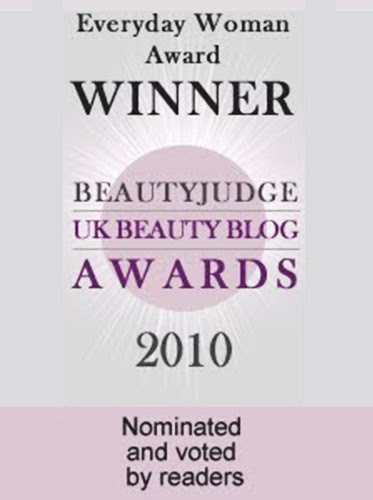 So to sum up Salon de Cara Hair Roll Cara 001 - this was perhaps the least favourite of all the Salon de Cara mascaras. I found it rather gloppy, and just kinda average in terms of length and volume. Also, my personal preference mascara-brush-wise is for a bigger brush with more bristles (whether rubber, plastic, or standard nylon bristle material) because I find it easier to reach my stubby little wimpy lashes that way, so I found that the tiny little brush and short bristles didn't quite work for me. Someone else who likes the smaller brush wand and the rubber bristles might find this works better on them, but for me, I preferred the other two. Let's move on to Salon de Cara Roll Brush Cara 002. 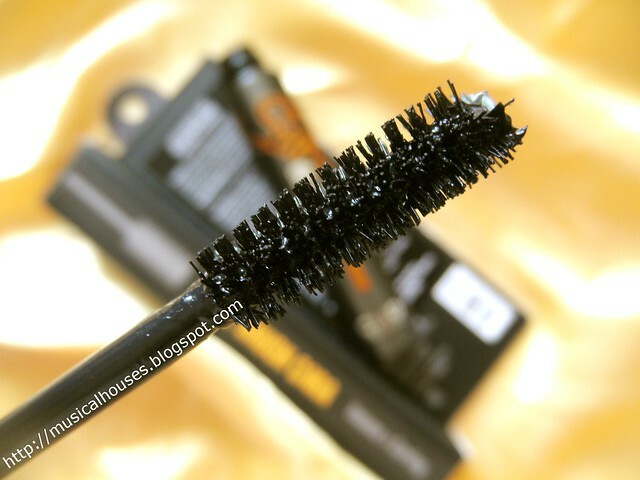 This is the most "typical" out of all the mascaras in terms of brush head, because it's a large brush-like head with bristles that are made out of the standard plastic or nylon material. I had a good feeling about this because it seemed to suit all my personal mascara preferences - larger brush head, check. Lots of bristles, check. Looking good so far! The results were also pretty good - this turned out much better than Hair Roll Cara 001 at any rate. 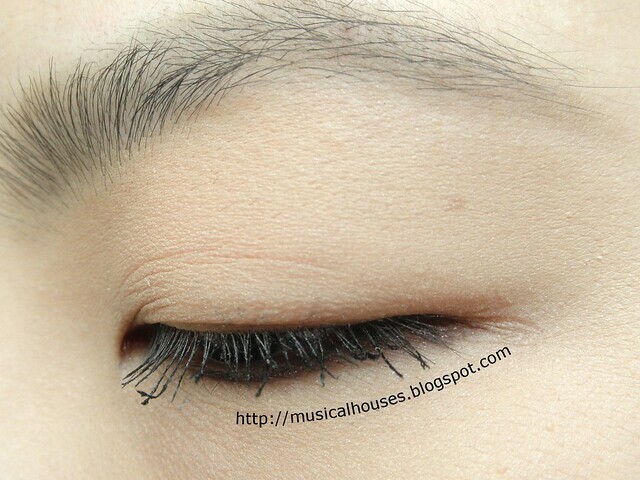 You can see it's a lot less clumpy and my lashes don't stick together as much, and there is actually more length, too. It's not often I find a mascara that doesn't clump on me (my previous mascara reviews will show you!) so I'm happy that it doesn't look like I have a grand total of four lashes here. From the side view, you can also see that it holds a curl better on me. I'm not sure why this is the case since the formulas are pretty similar for all the three mascaras, but perhaps it has something to do with the way the bristles manage to wrap around my lashes, perhaps? Anyway my final verdict on this is that I like it. 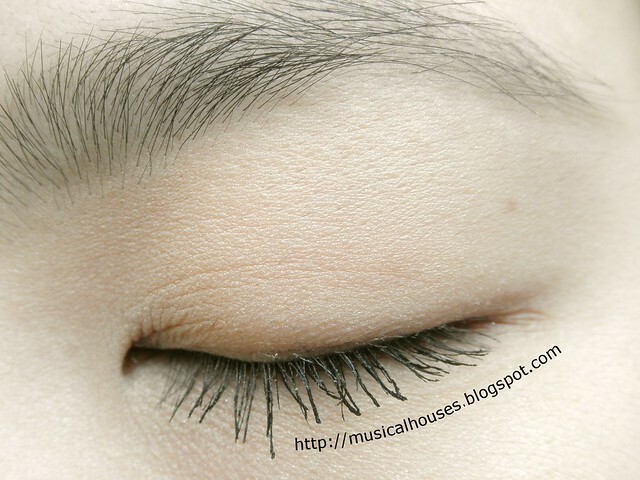 It looks good to me, by my standards anyway - I have pretty wimpy lashes and I'm always complaining about how I can't find a good mascara, so although this isn't like, "OMG my lashes look like those gorgeous ones in the ad!" 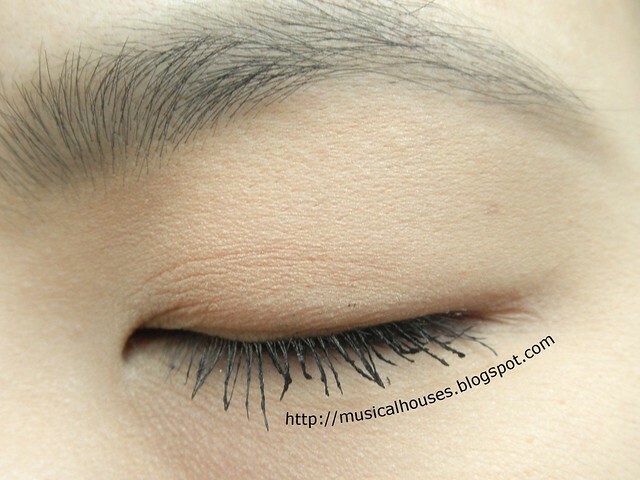 kind of wow, it's pretty good considering that most mascaras don't look as good as this on me. 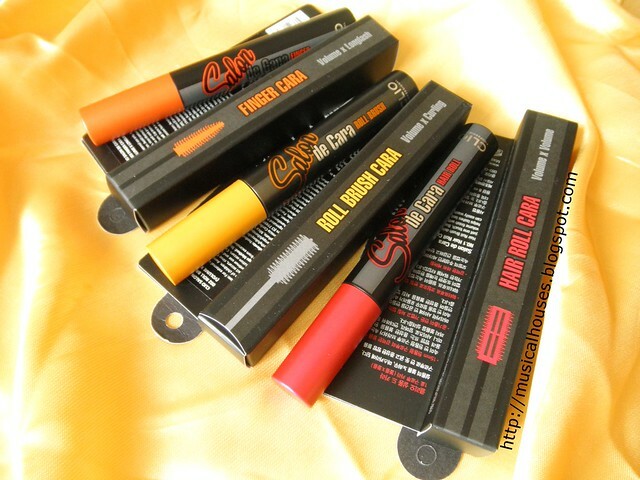 The last Salon de Cara mascara is Finger Cara 003. From the above photo looking at the bristles, you can see what Clio means when they say "bristles that part three ways at the tip" - there's a little tuft of fibers there. Yup, the little tuft of fibers is there because this is a fiber mascara, and the only one amongst the three that contains such little fiberso. 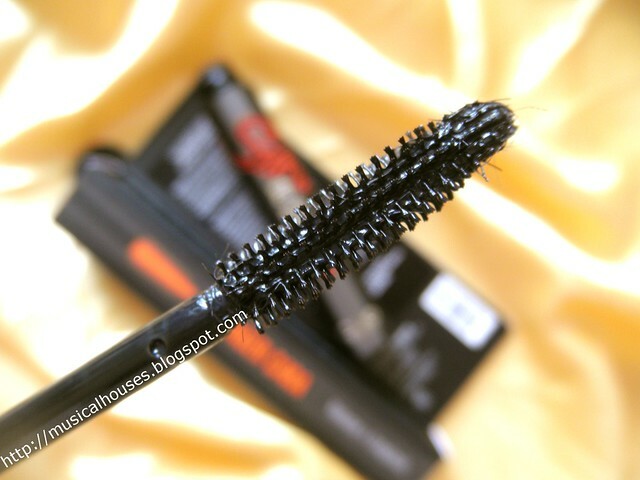 So if you like fiber mascaras, chances are this will be the first one you'll go for. Also, I thought I'd put in a comparison shot of the three Salon de Cara mascaras brush heads, just so you can compare relative brush head size and bristle length and so on. Hair Roll Cara 001 has the smallest brush head, while Roll Brush Cara 002 has the densest bristles. Finger Cara 003 is about the size of Roll Brush Cara brush-head-wise, but the bristles are less dense. 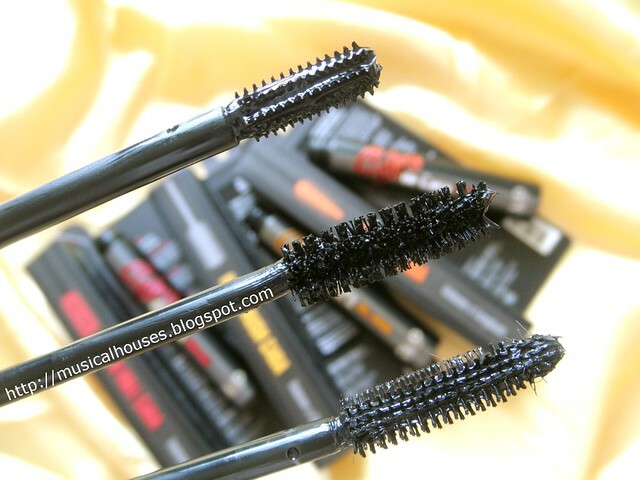 For me, fiber mascaras have been a mixed bag in the past - when I can get them right, or when they are formulated well, they really do give dramatic length with the fibers sticking to your lashes like little extensions. 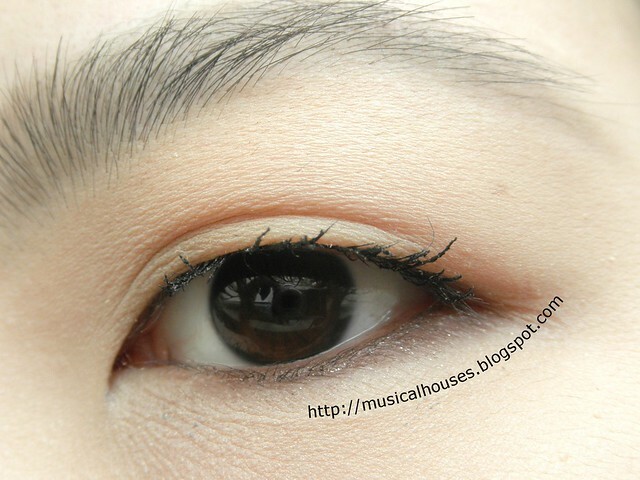 On the other hand, not every fiber mascara is created equal, and some give a better effect than others. In that regard, I'd say that the Finger Cara 003 does a fairly good job. You can see that where the fibers stuck to my actual lashes, there is this lovely length that is added to the lashes, and they're actually pointing up (or at least, more upwards than my lashes would otherwise do)! 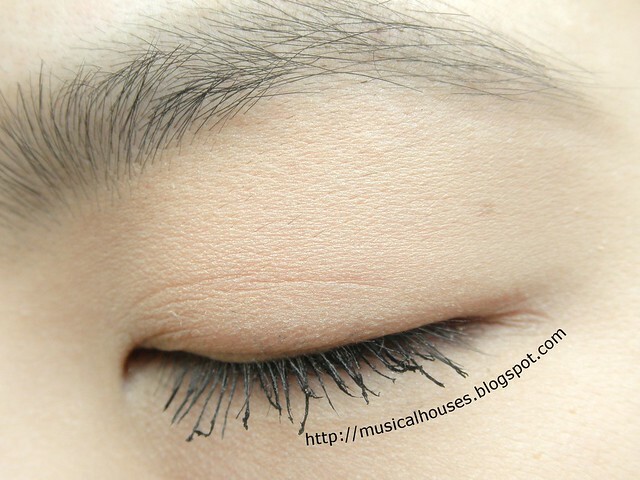 But, as with most fiber mascaras, it's not possible to coat every single lash with those little fibers (I wish!) 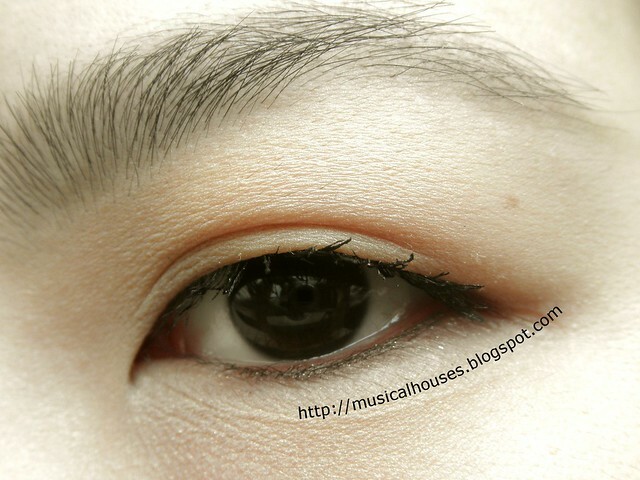 so not every lash has that awesome lengthening effect. But it's not a bad effect overall, I'd say. 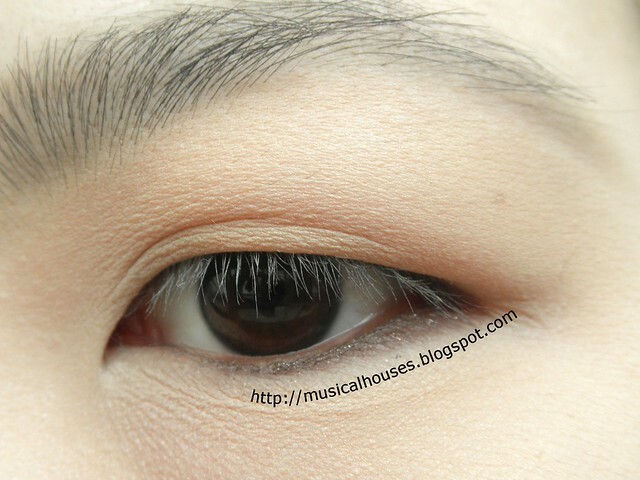 From the above and below photos of my closed eye and side view, you can see some slight clumpiness with the mascara. This is partly because I was trying to get overambitious with the mascara and trying to fiber-ize every single lash, so some of the mascara started clumping up. Of course, this problem would have been solved if I had not tried to over-apply the mascara, but I couldn't help it - with fiber mascaras I tend to degenerate into some compulsive, mascara-swishing ape just to see how many fibers I can add on, until I realize that I'm actually making my lashes look worse this way. Overall, I'd say this performed the best in terms of length (those lovely fibers sure help), but perhaps at a slight risk of extra clumpiness. I feel like I could make this work with extra practice, though, so it's a tie with the Roll Brush Cara 002 for me - I think the preference will come down to how much you prefer fiber mascaras over normal ones at the end of the day. I'm more accustomed to "normal" mascaras, which is probably why I caught on to Roll Brush Cara 002 quicker, but I think given time I would like Finger Cara 003 too. 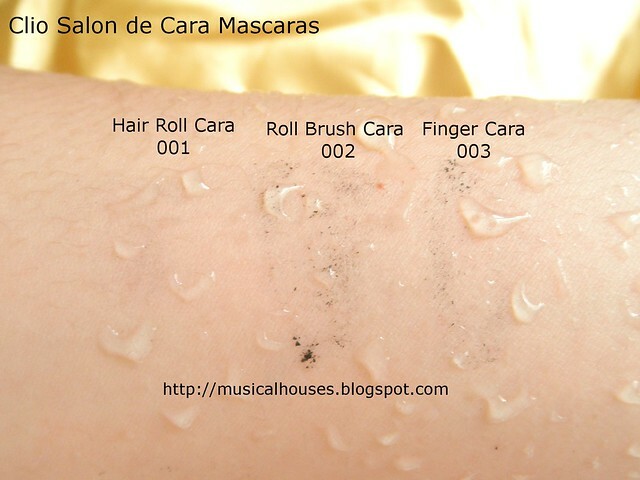 And because mascara ideally should be smudgeproof and waterproof, I thought I'd do a quick little test with the Salon de Cara mascaras. I usually put eyeliners and mascaras through three tests - the smudge test, where I rub them with a finger; the water test, where I put them under running water; and the ultimate killer water and smudge test, where I rub the swatches with my finger under running water. I think so far only one product has ever passed all three tests. For what it's worth though, most products pass the first two but don't get past the third, but in real life it's not likely that your lashes/eyes would get subject to such rough treatment, so by my standards, anything that passes the first two tests is good enough for my own personal use. First, the smudge test. A little, tiny bit of mascara flaked off, but that's not an issue - I did rub hard (harder than you would rub your own eye!) just for experiment's sake. And then the water test. 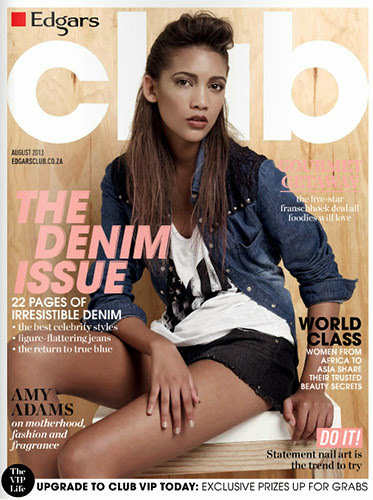 Still looking good - no mascara smudged off or flaked off at all! You can go swimming with this on and it should do pretty well. And yup, the killer smudge and water test. When rubbed underwater, little flakes of mascara lifted from the skin and were washed away by the water. This of course meant that with continuous rubbing under water, the mascara start flaking and washing away. So if you do wear this to go swimming, don't rub your eyes! On the bright side, it meant removal was easy - I found that although a micellar cleanser or a stronger face wash worked well, I could also remove quite a bit of mascara by rubbing my lashes in the shower. And when I road-tested the mascaras for an entire workday, I found that they didn't smudge or budge at all, and there was very minimal flaking. 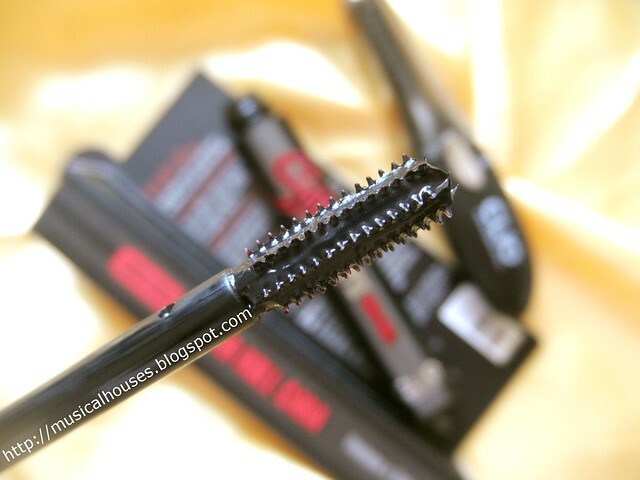 So all in all, I would say that the wear is pretty good on the Salon de Cara mascaras. 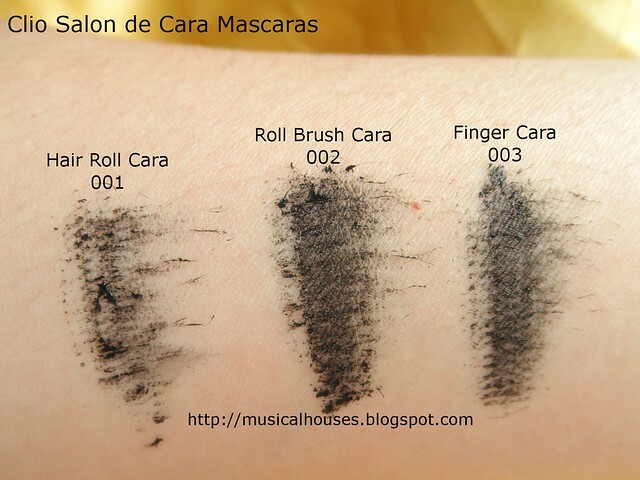 Clio Salon de Cara Mascaras: Depending on your preference, one particular brush might work better for you. So all in all, would I recommend these? Mascaras are very personal things, and your mileage may vary quite differently from mine (because of different lash length/volume/direction and different application habits and so on), but for me, I found the Roll Brush Cara 002 seemed to work for me, while Finger Cara 003 required a little bit of getting used to, but seemed to get nice results as well, while Hair Roll Cara 001 wasn't my favourite. Chances are, you might find that you prefer one type of brush over the other, but your preferred brush may or may not be the same as mine. At the price of $24.90 each they're not too spendy, and worth trying out if you think one of these brushes would work well on you. The Bottom Line: The Clio Salon de Cara mascaras offer something for everyone, with sufficient variances in terms of mascara brush bristles, head size, and bristle density. I personally preferred Roll Brush Cara 002 and Finger Cara 003, but your mileage may vary. This review is so detailed, haha. I think my lashes are similar to yours - my current routine is to use a fiber/lengthening mascara (I currently use Buxom's) and then go over with a "volume" mascara with another coat (MK's Ultimate or Lancome's Hypnose Drama). It would be interesting to see what the mascara would look like if you used the third one under one of the other ones! Great review. I have hooded eyes, too, so it's very helpful to read your mascara reviews. Great review! 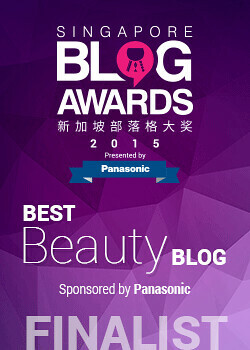 This is very helpful especially to us new buyers of mascaras. Now I know what to pick.